Sepa Youth | Urban Servant Trip 2017: Philadelphia! Considering Youth Servant Trip Options for the Summer? Look no further! 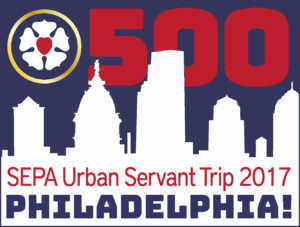 Be part of a BRAND NEW Servant Trip opportunity, as SEPA Youth partners with Servant Trip experts Youthworks for a one-of-a-kind experience you won’t soon forget. 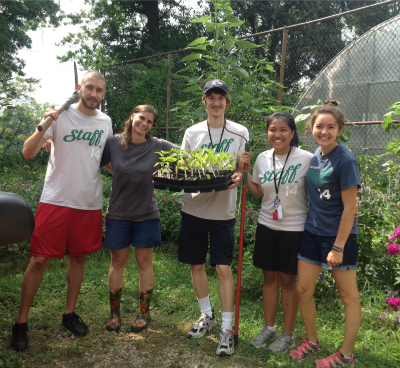 Join Lutheran Youth from across the region as you dive deep into the complex issues of hunger and food security right here in Philadelphia! This trip will open new horizons for how you and your youth understand the food we eat and the city we live so close to – and, because it’s local, it will only be the beginning of the experience! Register TODAY by contacting Bobby Walerius at bobby.walerius@youthworks.com or 612-746-6453! A Video for sharing with your youth to promote the trip! To begin recruiting in your congregation, click here for a Mission 2017: Philadelphia Registration Poster!